Last spring, the Ocean State was home to the first and only trial run for the 2020 census, which was conducted in 637,000-strong, immigrant-heavy Providence County. “We got to see what the census would look like in a vacuum of information,” Marion, executive director of Common Cause Rhode Island, told attendees last weekend at Common Cause’s Reason, Reform & Redistricting Conference at Duke University. The Census Bureau provided precisely zero funds for outreach about the trial run. Fear and rumors about the first-ever digital census circulated through the county’s Latino communities—among those who even knew the trial was happening at all. Marion recalled with dismay a misinformed city councilwoman saying – incorrectly – at an event that because she’d filled out the trial form, she wouldn’t have to do so come 2020. 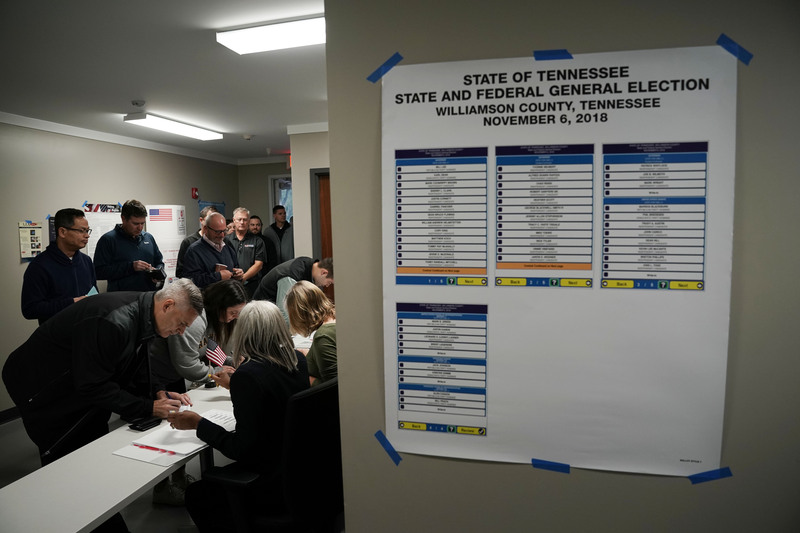 There’s good reason to believe that the same issues will afflict the nationwide decennial census, voting rights advocates and election law experts warn. Inadequate funds, insufficient outreach, a wave of high-profile data breaches, and a deep mistrust of the Trump administration among minority communities compound the bureaucratic challenge inherent in moving the census online for the first time. Even if the Trump administration fails in what experts say would be a catastrophic bid to add a citizenship question to the census, advocates fear that this potent combination of factors will lead to a significant miscount of the state population figures used to divvy up congressional and legislative districts and allocate tens of billions of dollars in federal resources. The anticipated undercount of vulnerable populations in the 2020 Census will have consequences that shape national politics and reverberate through Americans’ day to day lives for the next decade. “We have a bit of a perfect storm of issues converging on the census, which isn’t necessarily something people are thinking about in 2019,” Marion said in a phone interview with TPM. “A bad count, particularly around certain populations, will result in political power being transferred from those who weren’t counted to those who were,” he added. 2020 will be the first year that Americans will be asked to complete the census mostly online. To reduce costs, some 80 percent of households will be targeted with invitations to submit their survey responses online instead of via mail or in-person interviews with canvassers. The shift online is a massive undertaking with significant ramifications for the count. At the Common Cause-Duke Center for Political Leadership conference, speakers brought up the uneven distribution of broadband access, which is particularly lacking in key communities (on Native American reservations and among black Americans in the rural south and Hispanics in the rural Southwest). Historically, those communities are already severely undercounted. Speakers said that recent privacy scandals in the commercial technology sector—like the Facebook security breach affecting 50 million users or Marriott hotel database breach compromising the data of 500 million—have some Americans wary of sharing personal information online. Access to accurate information is contingent on funding from Congress—another major concern for advocates. The 2020 census—expected to cost $15.6 billion—was starved of congressional funding until the 2018 omnibus spending bill provided a much-needed cash infusion. Initial shortfalls stymied early advertising and staff hiring efforts. That underfunding meant that two other planned trial runs—in rural West Virginia and on Native American reservations in Washington—were canceled. The Census Bureau is also slashing the number of regional planning offices from 12 to six, and local field offices from 500 to 250. States are independently tasked with driving participation, but the vigor of these outreach and education campaigns varies wildly. California leads the country with some $100 million allocated for 2020 census activities, while others have yet to set aside any funds at all. “The census must be conducted in a way that will not thwart the goal of equal representation,” U.S. District Judge Paul Grimm wrote. The 2020 Census happens to fall during a presidential year, with the April 1 National Census Day deadline to complete the survey landing smack in the middle of primary season. This heightened political environment has advocates worried that the census itself will become a partisan issue, with bad actors releasing misinformation online and elected officials casting doubt on the work the government agency does instead of encouraging participation. President Trump has, in the past, suggested that the Obama administration Census Bureau “cooked” results in his favor. Advocates say such comments make Americans feel their participation is not necessary, or that their data can and will be manipulated. This fear is particularly acute among Latino communities already unnerved by the Trump administration’s harsh immigration policies and the looming prospect of a citizenship question on the census form. “All of this compounds this historic distrust in government we’ve seen in communities that are historically hard to count,” Beth Lynk, director of the Census Counts Campaign at the Leadership Council on Civil and Human Rights, said at the Common Cause conference. The best chance at ensuring an accurate and complete count, advocates say, requires nixing the citizenship question, mass mobilization and outreach from states and non-profit organizations, and messaging targeted towards traditionally undercounted populations. Activists are explicitly tying their 2020 get-out-the-vote efforts to census and redistricting reform, telling voters they won’t have adequate representation or funding for things like day care centers or road repairs if they don’t fill out the census accurately and completely. Tamieka Atkins, executive director of civic engagement group ProGeorgia, urged conference attendees to share legal materials informing voters that their data is protected under U.S. law. “That helps build trust and confidence when people ask, ‘Can the president see my stuff?’” Atkins said.